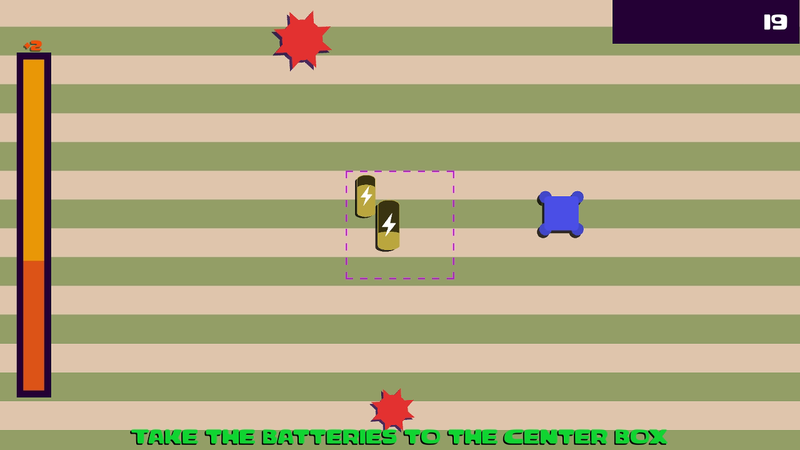 You need to pickup batteries and move them to the box in the center. Try to keep the power up. Don't hit saws they cost you power.